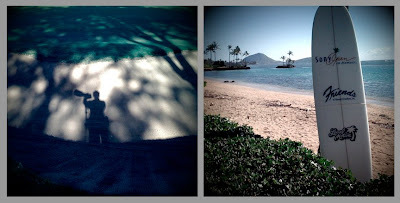 My first tournament of the year was the Sony Open in Hawaii. 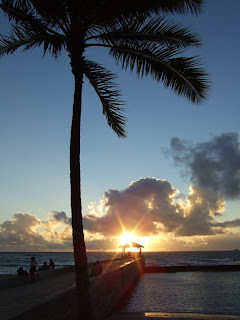 I arrived in Honolulu after a 10-hour flight from Atlanta and got settled in my room in Waikiki. Beth joined me later in the week. 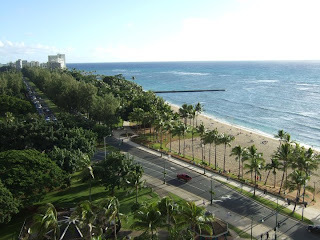 The view from my room at the end of Waikiki beach. I walked downstairs to enjoy the sunset at the beach. The next morning, it was time for work. 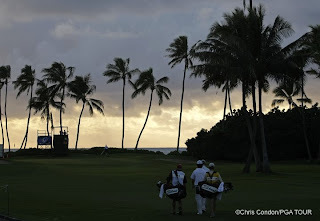 The sun rises over the course at Waialae at the early groups head out. 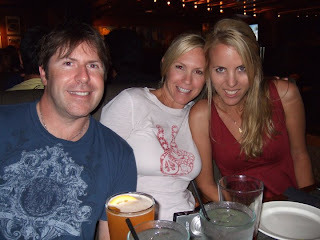 After the first round, I met up with our friends Lisa and Brooke who work for Maui Jim Sunglasses. We had dinner with Brooke's parents and Sam Greenwood who was working the tournament for Getty. 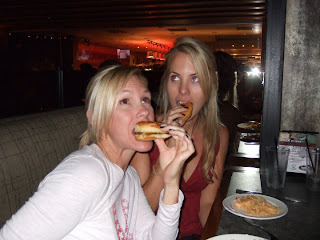 The girls ordered "Sliders" (Mini cheeseburgers) and apparently they were pretty good. Friday brought high winds and rain. The job is great, but days like this are a challenge. 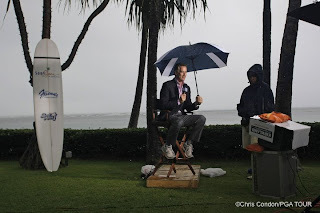 Rich Lerner of the Golf Channel does a live spot in a squall outside the clubhouse. 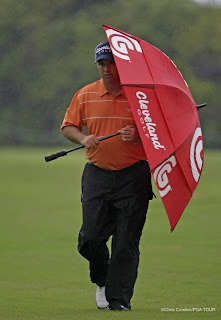 Boo Weekley tries to find some shelter behind his umbrella. Saturday brought back the sun and a great round from local favorite Tadd Fujikawa. Tadd is 18 years old and still in high school. He shot a 8-under 62 to tie the course record. He had a large gallery and seemed to really enjoy the spotlight. 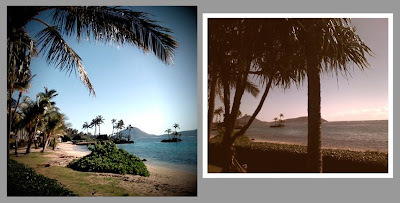 I also took advantage of my new iphone and took a few shots. I used the app "Camera Bag" to do some funky conversions. 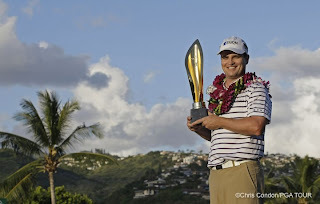 On Sunday, Tadd and the rest of the field faded and former Masters champion Zach Johnson took the Sony Open title.